This simple tutorial shows you how to change the Nautilus file browser and other apps’ background & selected color if you’re boring with the default colors in Ubuntu 13.04 Raring. It can be easily done in Nautilus 3.4.x and 3.6.x via Dconf Editor. 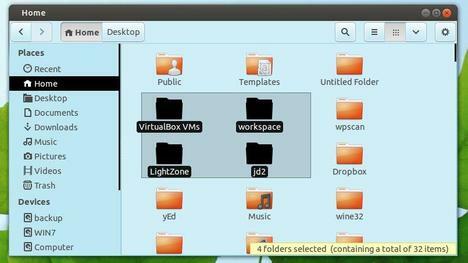 So this tutorial will also work for Ubuntu 12.10 Quantal and Ubuntu 12.04 Precise. In the screenshots below, I changed the background color to sky blue and selected color to black. To do it, open Dconf Editor from Unity Dash. 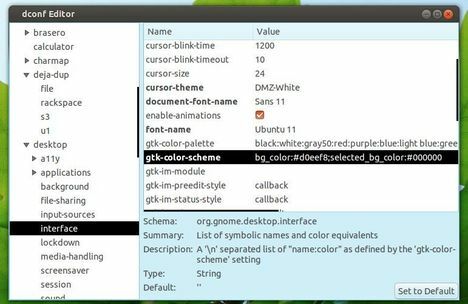 Navigate to org/gnome/desktop/interface, add or change the value of gtk-color-scheme. So that you can change the background color, tooltips color, text color, etc. To restore, just remove what you added. Enjoy!